Last week I tried cooking dinner for us during weekday, it was tiring but I was glad that I did it. It all started when I bought some vegetables and did not managed to cook it that same weekend. Instead of keeping it till the following weekend (which they probably turn bad before that) I decided to cook them. With the Cook for Family Event coming up next week from 24th May to 31 May 2013 I thought I'd share what I've cooked during weekday. All these are whipped up within an hour except for the fish stew that took 1.5hours. I made the wrong estimation on the cooking time thus I have one impatient 7 year old who keeps wander into the kitchen saying "Mum, I'm HUNGRY!" As a FTWM and weekend cook, I am very proud that I have decided to make an effort to cook dinner during weekdays. The dishes does not need to be fanciful, one pot dish or one dish dinner should be ok but make sure the ingredients are mostly fresh and not processed food. 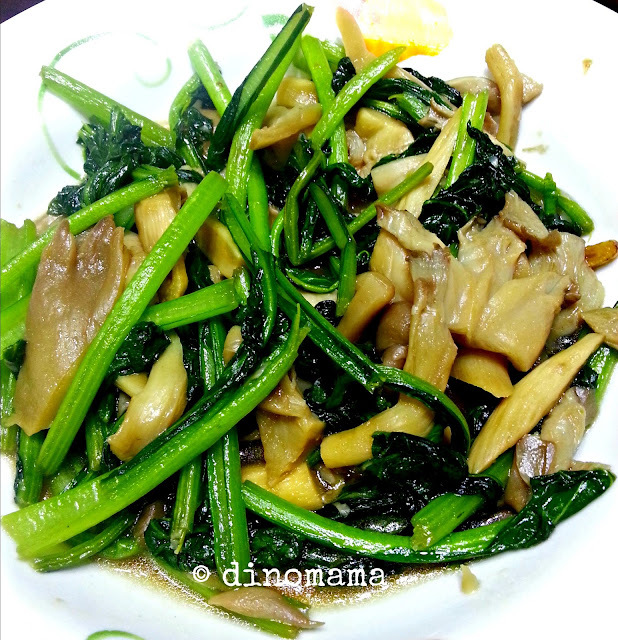 07 May 2013 - quick stir-fried choi sum with fresh black fungus and abalone mushrooms in oyster sauce, done in 45mins including preparation time. We had this together with left over soup from the weekend and rice. It was a simple but tasty dish, the black fungus was soft, even DinoBoy likes it. However, when DinoBoy sat down at the dinner table he asked me innocently "Mum, where is The Meat??" O-kay... no more 1 vegetable dish meals, must have meat as I have a meat eater at home. 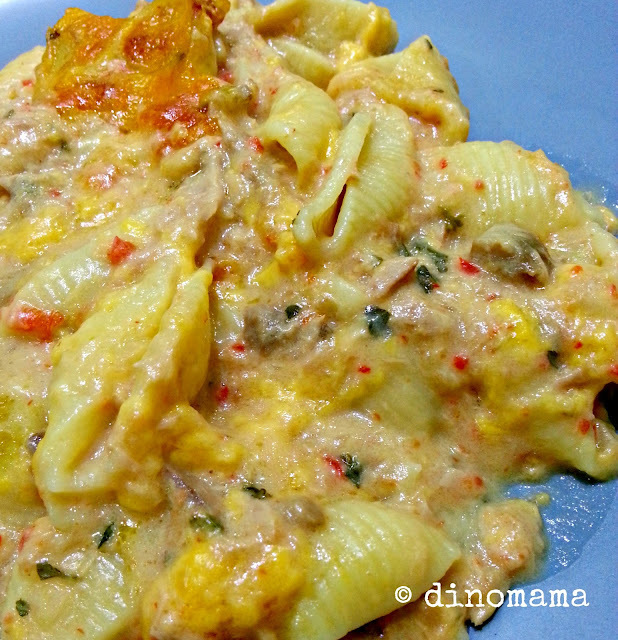 08 May 2013 - Tuna baked pasta, this took an hour including preparation time as I have to boil the shell pasta and heat up the can of mushroom soup, baking time took 30mins. Fail proof dish! Both DinoPapa and DinoBoy love it. I should be more adventurous and throw in more cheese, never mind I'll remember this the next time I bake this again. 09 May 2013 - White fish stew & Crab meat soup to go with white rice, took me 1.5 hours including the mad rush preparations. 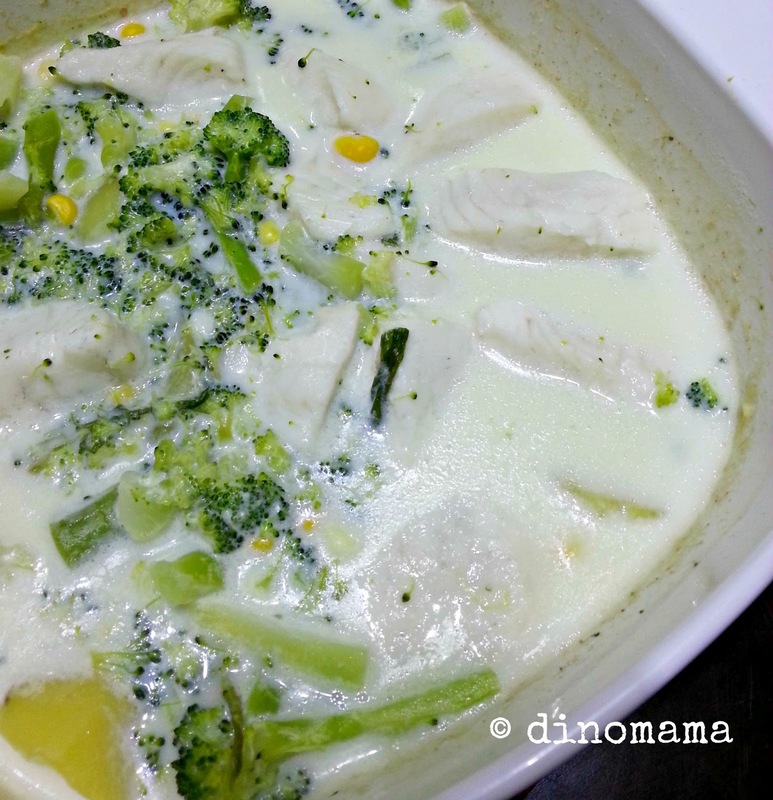 Ok I seriously do not know why the fish stew turns out white, perhaps I put too much milk? And I have coincidentally prepared 2 "white" dishes, I don't blame DinoBoy for not having any interest in that night's dinner as it really does not appeal to anyone's appetite even though they are delicious. On top of that, I forgot to remove the bay leaf in the stew, it gives a weird bitter spice taste. 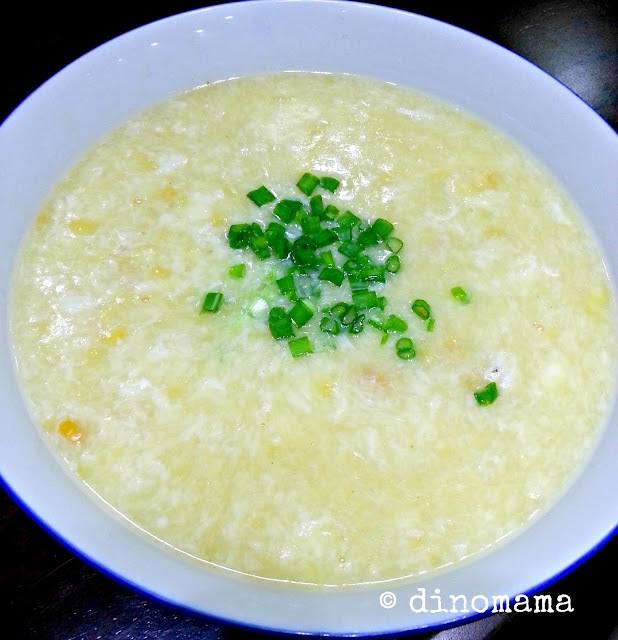 The crab meat soup is YUM!, this is the first time I am preparing starchy soup and I am happy that it turned out well. 14 May 2013 - Creamy ham pasta & mushroom soup. This was a simple pasta dish, cooking instruction given to me by Regina, she said "Use olive oil. Fry chopped onions. Add bacon or ham. Then add cream sauce. Don't let it boil! Fire must be low. Add salt to taste. Then add pasta. That's it!" And it REALLY is as easy as she said! 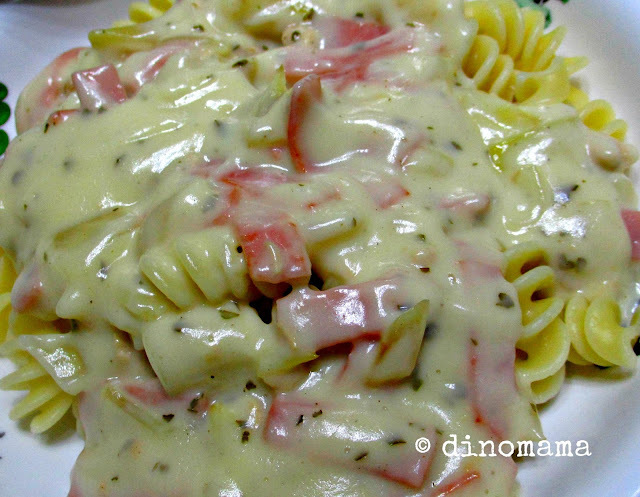 DinoBoy requested for the "twist-twist pasta" aka fusilli pasta, I added the some ham I found in the fridge to the sauce and TA-DA~ savory creamy pasta for dinner. 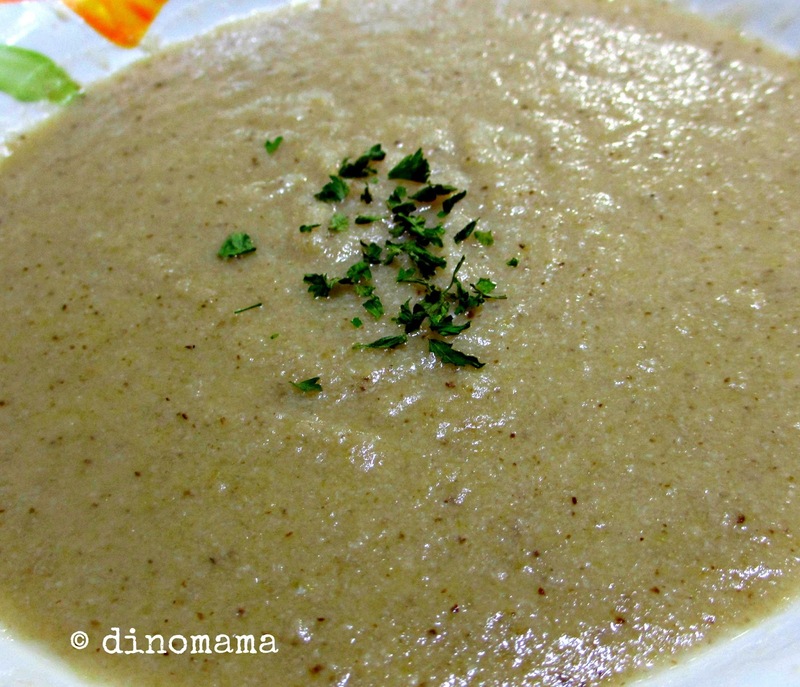 That same night I get to play with my new kitchen toy; Philips|Jamie Oliver food processor, to prepare DinoBoy's favourite soup; mushroom soup. I can only say this "I TOTALLY love my food processor!" We reached home around 6.45pm and dinner was served on the average at 8pm, DinoBoy was famished by then but this also mean that he finishes his dinner in shorter time. It was consider late as we usually have our dinner outside between 6.45pm to 7pm, but I'll still try to keep this going because late dinner or not most important thing is we have well balanced home cooked meals that are nutrition, delicious and healthy. Note to self : I MUST start doing meals planning. Hope I have given you inspirations or ideas on the food you will be serving to your family, I sincerely wish to see you at the Cook for Family event starting end of next week. 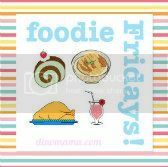 Do join the event by clicking the link provided at the top of this post and share your food photos you have cooked during the event. Till the next time, Happy Cooking Everyone! 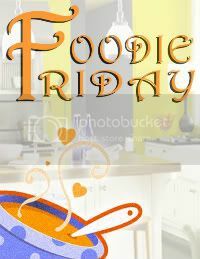 This week I am linking my post with Adelina of Home Maid Simple for her Foodie Friday linky. well done Jen! Not easy for a FTWM to head back and cook after work. :D And your mushroom soup looks fantastic! Thanks AOAC! Tiring indeed, after we finished our meal, DinoPapa came home just in time to clean off the balanced food and of course to wash up the dishes he used hehhee~ He's not really happy about it coz he's also tired after long day at work but I cannot help it :P Totally drained! Great to see you cooking so many different dishes for the family. Looking forward to next week's creation. Oh you are stressing me already! I'm glad I inspired you to cook again for your family. Of course don't tire yourself out, if work till late then better eat out. Cooking is a pleasure too and happy cook will serves delicious food. Oh those all look delicious! I love making dinner every night, and it totally saves on our food budget.